Chemical and waste handling is essential in maintaining good housekeeping and material storage practices. By planning ahead and properly storing chemicals, you can prevent pollution and spills. 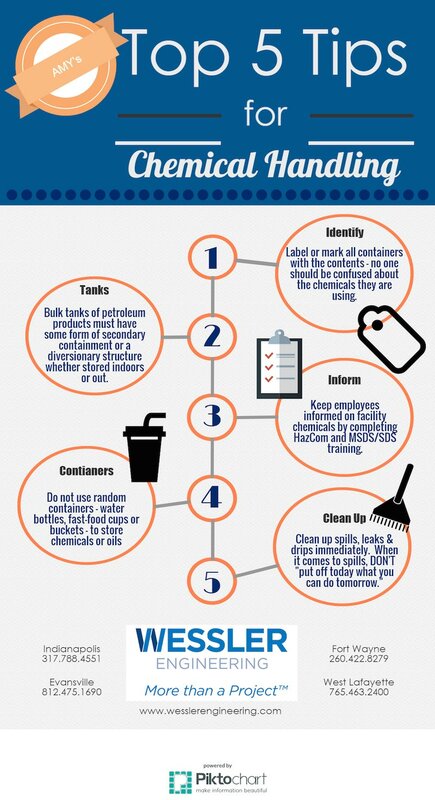 Below are some of the top 5 Tips for Chemical Handling, along with our downloadable guide for handling used oil, general chemicals, universal waste and electronic waste.